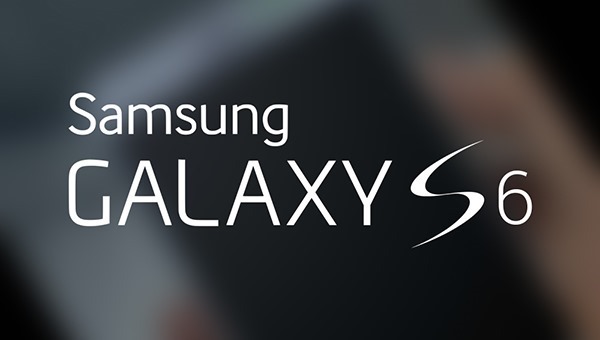 The Samsung Galaxy S6 has been making news recently, with the rumored device popping up on the AnTuTu benchmarking app showcasing its hardware components. There has been a lot of speculation with regards to the hardware specs of ‘Project Zero’, and while those speculations have been largely streamlined courtesy of those AnTuTu benchmarks, today would be the first time a photo of what could be the Galaxy S6 has surfaced online. 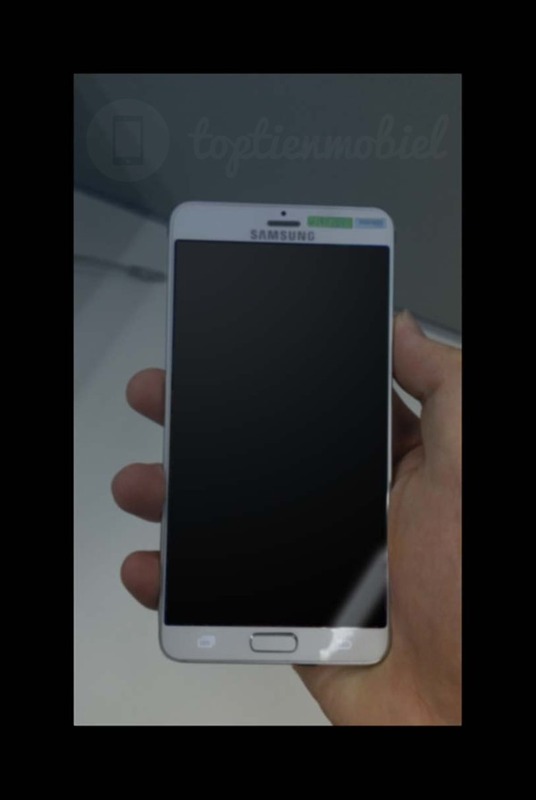 According to Toptienmobiel who have leaked the photo of the smartphone in question, what you see is a prototype of the fabled Galaxy S6. While some may be quick to classify it as a Note 4 given its slightly sharper corners in contrast to the S5, the display on the smartphone seems visibly stretched till the bezel, with what could be the proximity sensor placed in the center above the speaker grill. The stickers are likely there to conceal the front-facing camera, or maybe what we see is the ambient light sensor, and not the proximity sensor. The home button, and navigation controls retain the standard Samsung Galaxy design language. Though it would be premature to comment on the size of the device being in hand in the photo, it does seem like a comfortable size, ranging around the 5-inch mark. All that said, there were rumors about Samsung giving the S6 their best shot in an attempt to design the device from scratch, and do something different this time around given how the existing Galaxy S5 has disappointed consumers. Well, it doesn’t share much with the S5 when you look at the design, but it does lean towards the Galaxy Note 4. Is this a metal construction as rumors had it? We cannot say anything of course, but a lot of expectations and speculations would have been laid to rest if whoever leaked this photo would have taken a shot of the rear as well, but it’s teasers like these that keeps it all interesting. According to a report, there is also a Galaxy S6 Edge in the race to reach the market as well, with a display style akin to the Galaxy Note Edge, so hopefully this teaser photo will not be a disappointing end to consumer expectations, though I must say, I was expecting something ‘non-Samsung’. But why should I? Wow. It’s a phone. OMG. It looks just like the last one, except bigger. I just came in my pants. I can’t even being to imagine what the next version will look like! I can’t wait to use the awesome lag on this phone when it comes out! TouchWiz FTW!!!!! well, they have come a long way with TouchWiz , your comment is just a stereotype that carries for old TouchWiz software , note 4 bashed the iPhone 6 in a phone buff comparison video. go check it out. Watch the videos of Note 4 users showing off that awesome lllllllllllllllllaaaaaaaaaaaaggggg…. That is, once you’re done shoving SamDUNG’s down your throat. I like it when it was called the Galaxy Note 4.